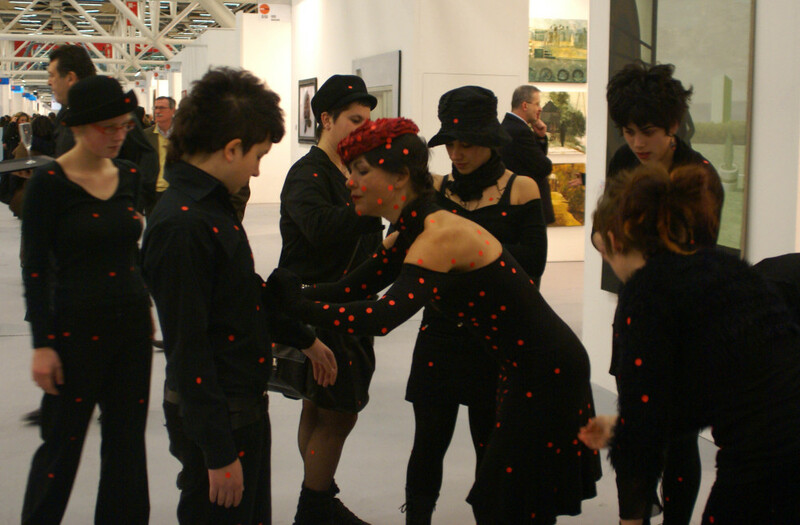 VIRUS CONTAGIO: group performance made with Fine Arts Academy Students at the opening of Bologna Artefiera in 2007; a series of photographs. 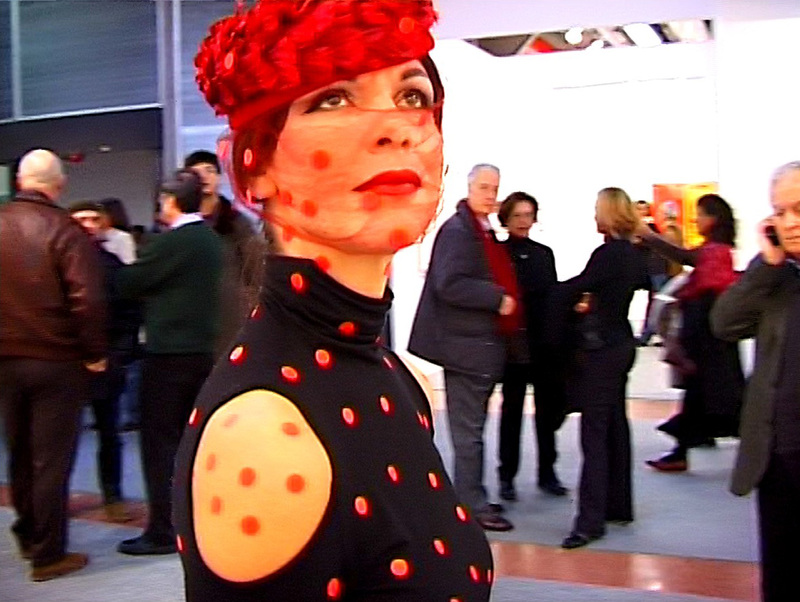 LIUBA went to Artefiera’s opening dressed with red dots. 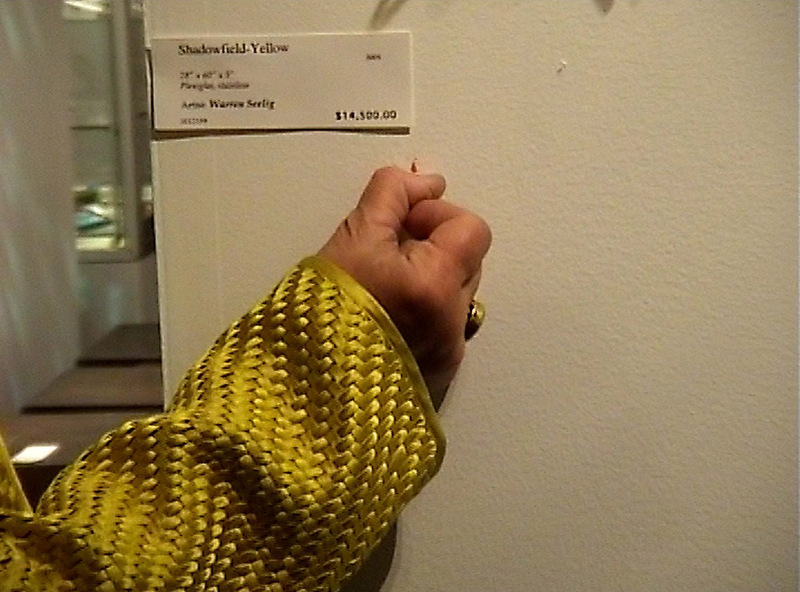 Then she took them off them from her dress and put them over all the art works exhibited at the fair, creating astonishment, collapse, confusion, humour and shock from visitors, gallerists, and artists. “In the series called Virus, the artist is a sort of a living sculpture. 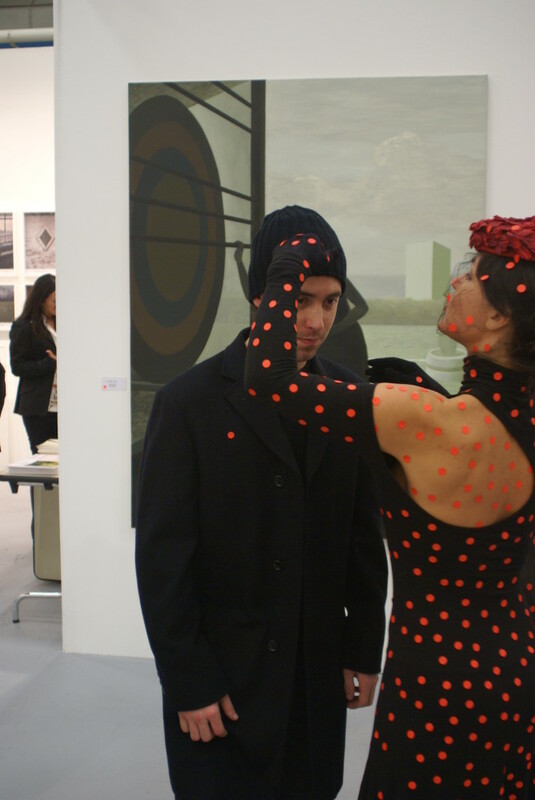 Dressed in a black outfit with red dots, the notorious sold stickers, the artist went to art fairs and placed them under several works under the noses of upset gallerists and stunned visitors. 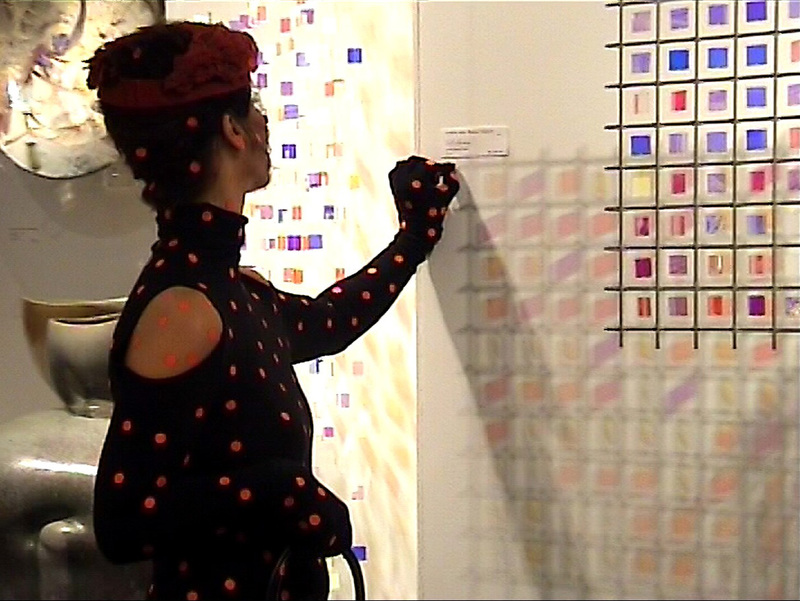 The same performance has been performed in New York at Sofa Fair in 2005 with completely different results (Virus – New York). The performance in New York was interrupted and the Show Management expelled LIUBA from the Fair, in a surreal dialogue with the guards over the supremacy of god-selling and god-money (the recording was prohibited and the cameraman shot footage without being seen). 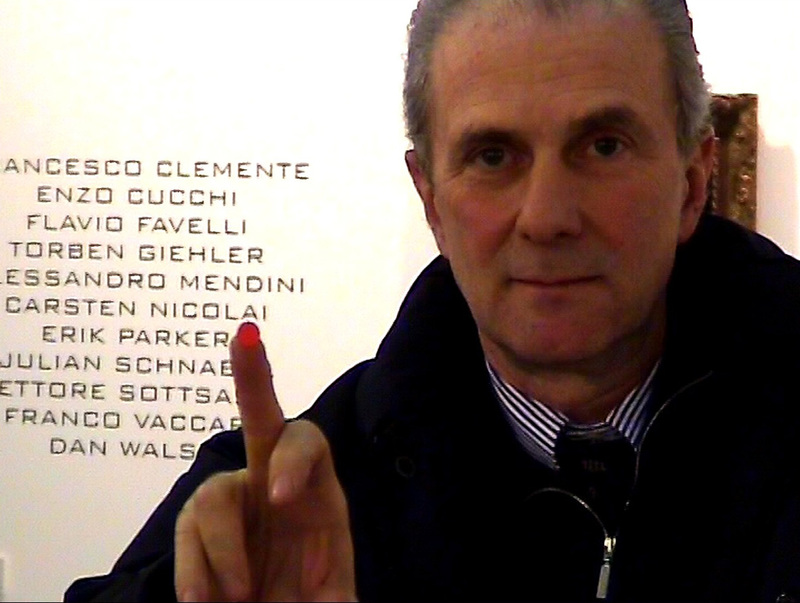 The same performance has been performed in Bologna ArteFiera in 2004 with completely different results. This proves that performance and context have a reciprocal influence, showing a point of view over reality. 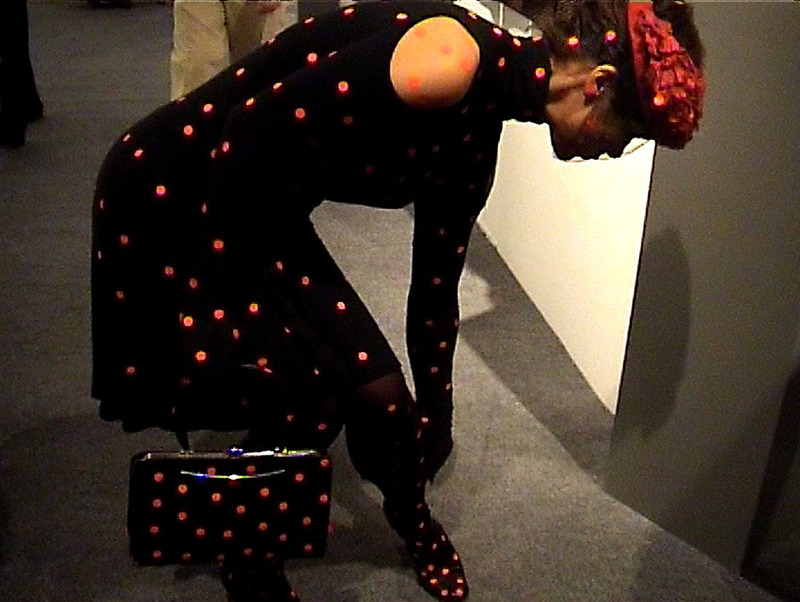 LIUBA went to Sofa Fair opening in New York dressed with red dots. 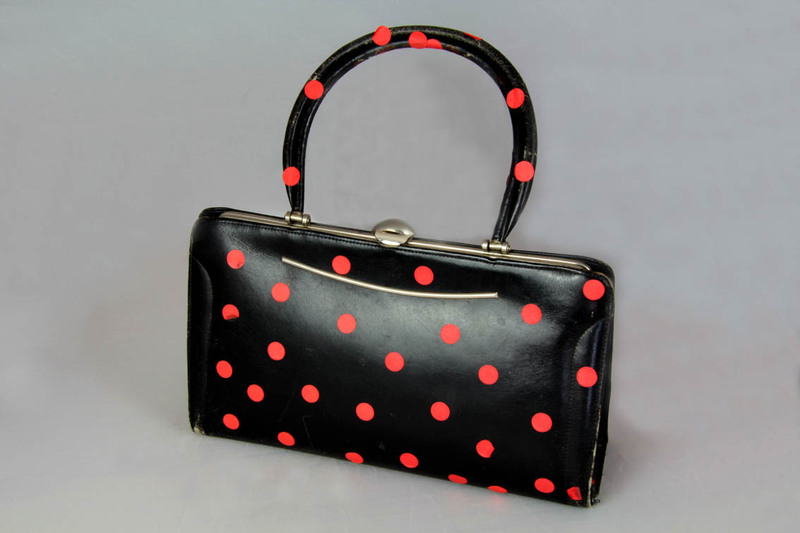 Then she took off them from her dress and put them over all the art works exhibited at the fair, creating reactions from visitors, gallerists, and artists including astonishment, confusion, humour, and shock. The performance in New York has been interrupted and the Show Management expelled LIUBA from the Fair. of the god-selling and the god-money in United States. The work is of great sociological and anthropological interest, being the urban interactive performance a mirror of the reality. 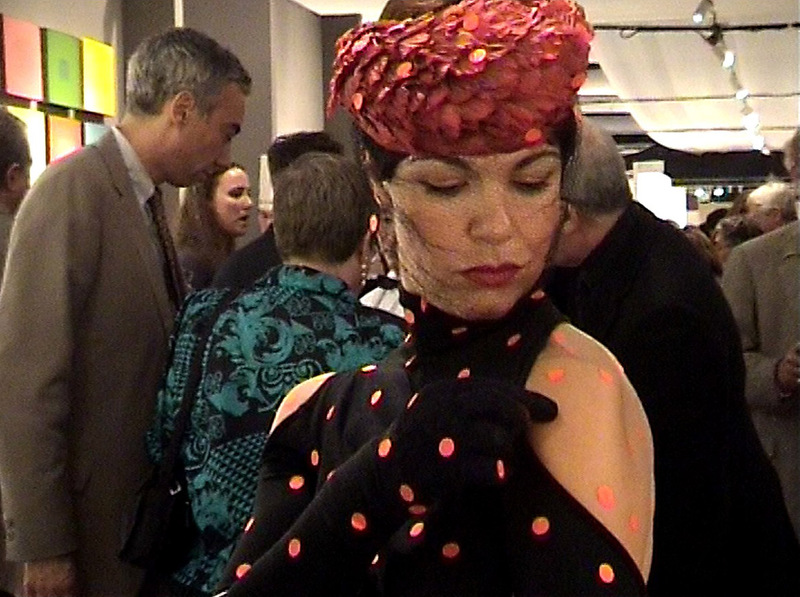 One of the purposes of performance art and happening is the illicit different response from different types of people and to then capture them on film. She is in this way creating a portrait of an event or a period. 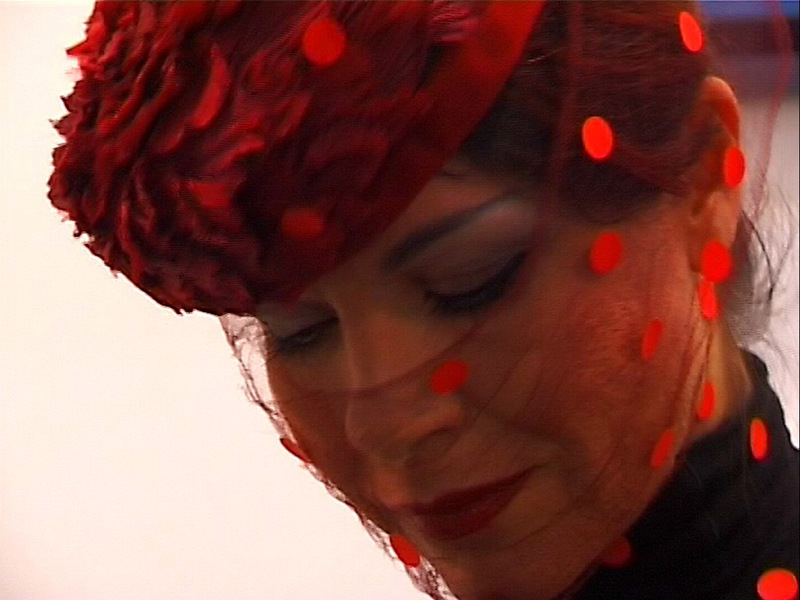 The films serve as documentation of her temporary creation and are sold as the final product. 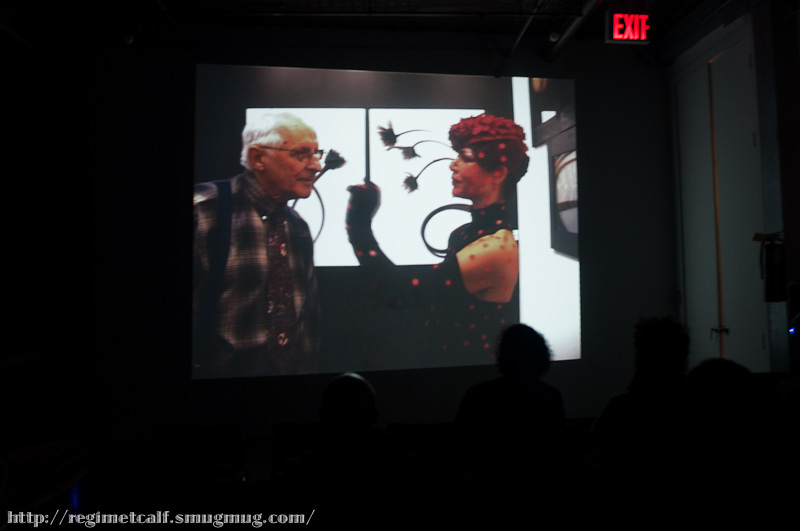 The SOFA NY footage quickly became one of her finest happenings. Many people loved what she stood for and what she was doing and you can see in the soon to be edited film and these still the excitement she created. However, some became very upset for unknown reasons. Perhaps too much of the spotlight was going onto one artist. She was then escorted out of the building by military personnel. While she was outside the building she tried to film the floor mat at the entrance which ironically said “Welcome”. 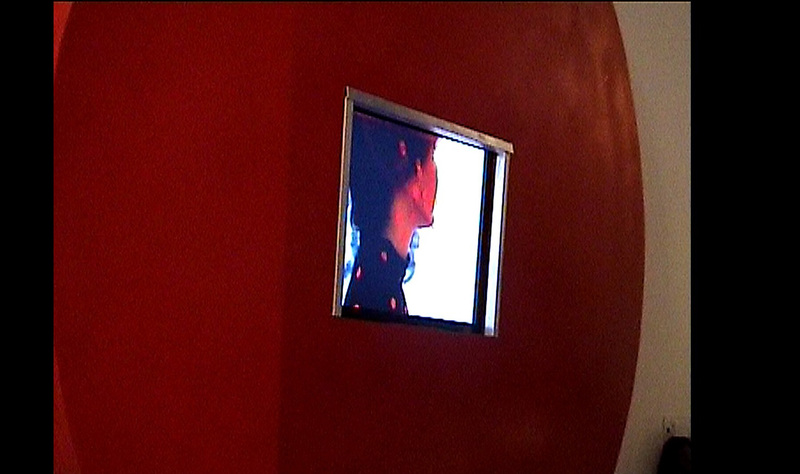 The performance Virus-Tableaux Vivant has been conceived for the Milan Flash Art Fair into the hotel and his rooms. 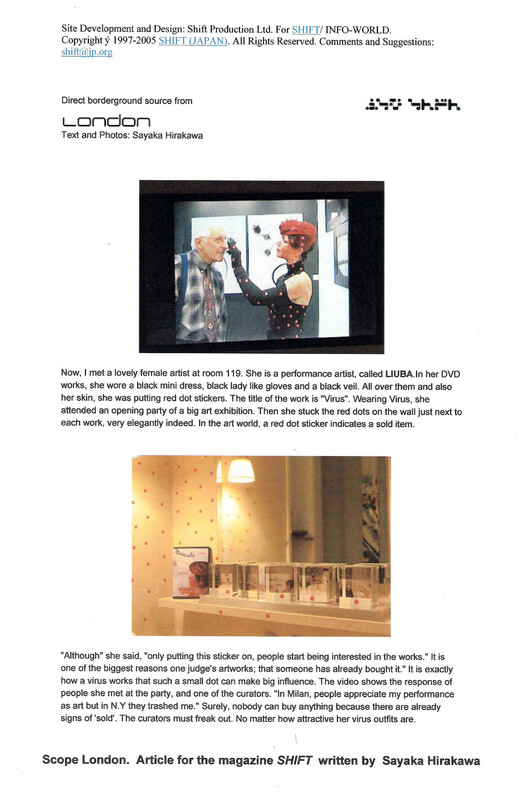 The project has been realized with the VIRUS videoinstallation in the bathroom and a performance Virus Tableaux Vivant, which investigates, in an ironical way, the merchandising of women’s body, covered with red dots and metaphorically sold. The work uses the bathroom, the tub, and the idea of ​​spying or intrusion into a private space. This time the purchase virus has spread infecting the whole environment and the body of LIUBA, an ironic simulacrum of sale and purchase on the person, the female body. 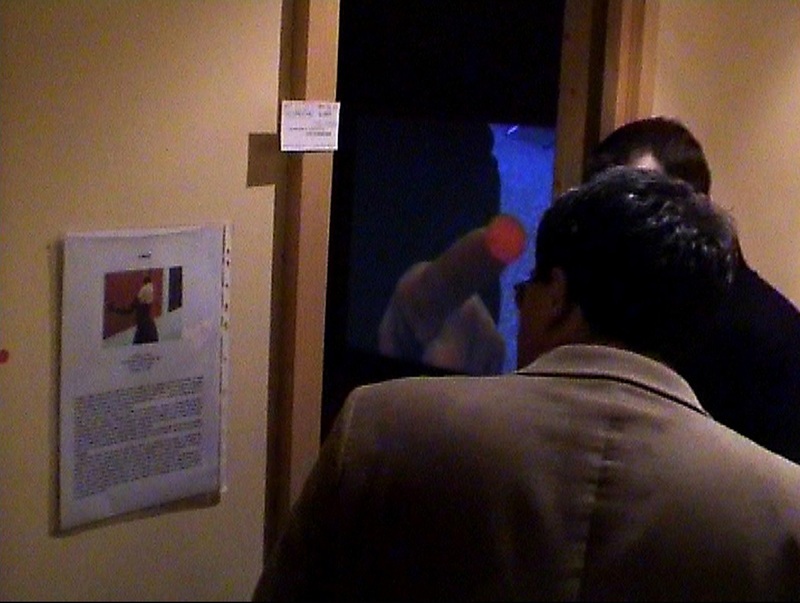 The public curiously waiting in line to see it indirectly participate at the operation. 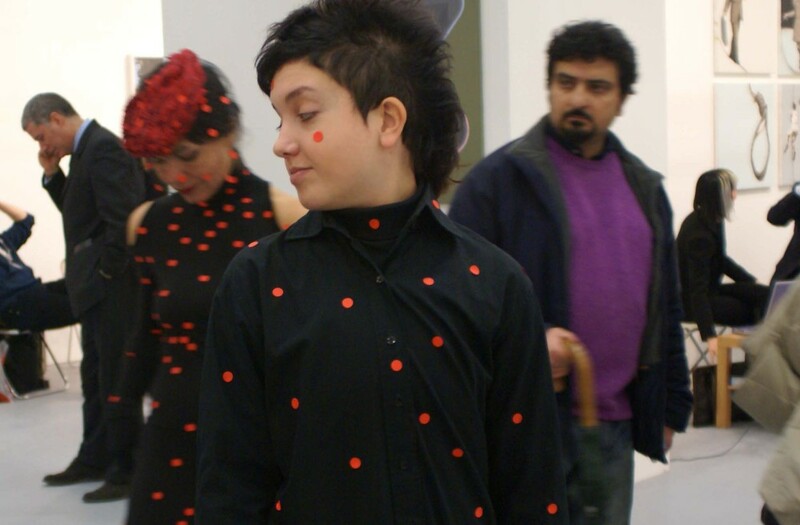 The work is a group and participatory extension of the performance ‘Virus‘. 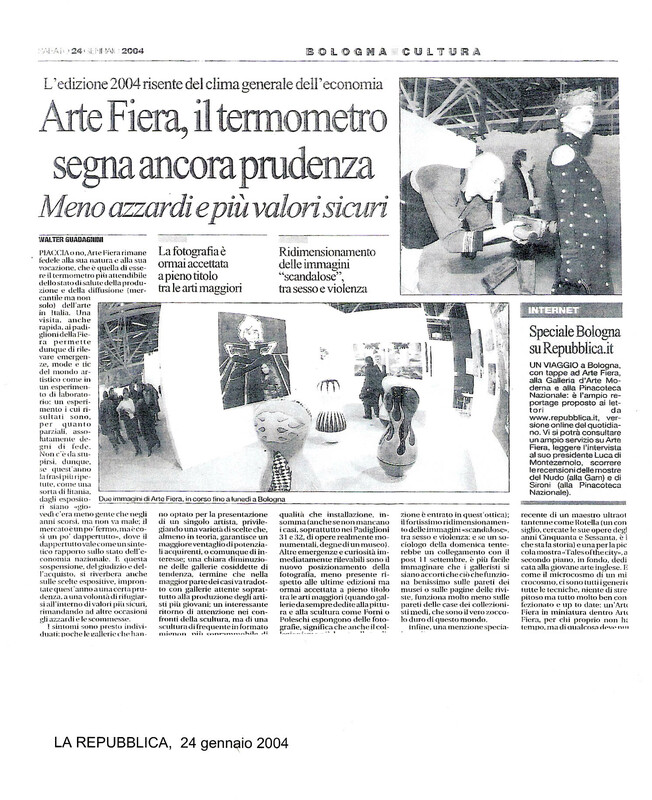 LIUBA invited students of the Bologna Fine Arts Academy to perform with her at the Art Fair. The extension works as a contagion. 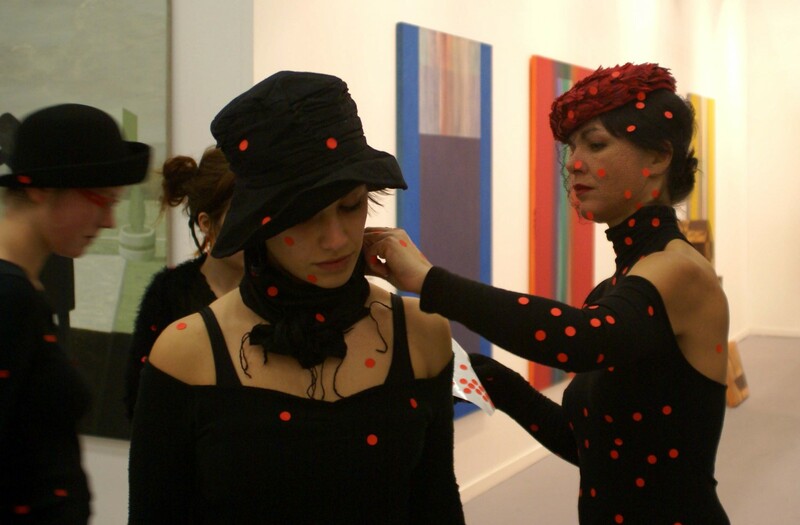 At the beginning, the students were ‘infected’ by LIUBA with the red dot viruses on their bodies and then they started performing the piece Virus, spreading the dots into the Art Fair and over artworks. 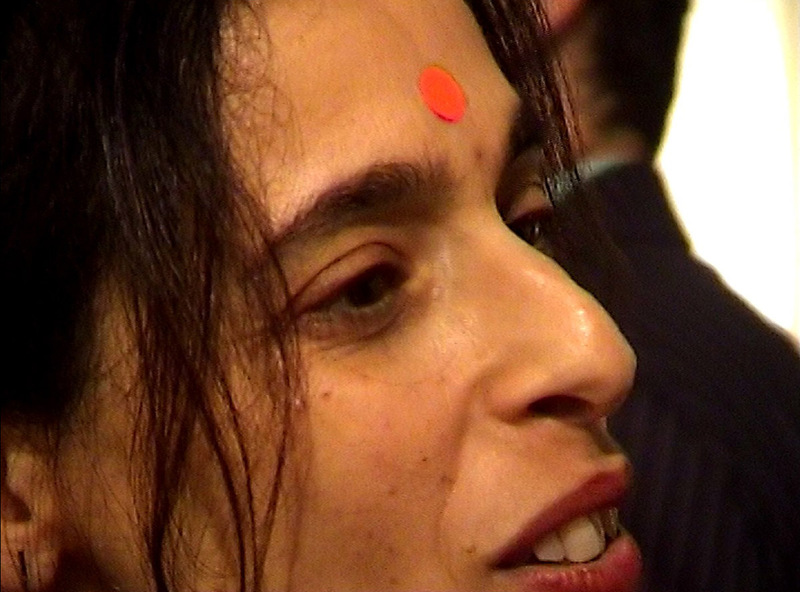 The ‘contagion’ has been conceived as a ritual and as an act of delivery: the passage of the virus of the performance, which comes from LIUBA, infects other performers who made the action. The performance becomes ‘transmittable’ and extensible.